The last few months I have been researching the science and techniques to create a timber-framed covered bridge using the techniques of the 19th century. If you are curious about how woodworkers built a wooden bridge in the 1840s, click on the link below. Always enjoy your historic videos Tom. I’ve always been amazed by covered bridges. Seen a lot of them in my travels on my motorcycle throughout my life. Each one is so beautiful with their looks and their engineering. I wonder if it was bridges similar to these that featured in Clint Eastwood movie The Bridges of Madison County? 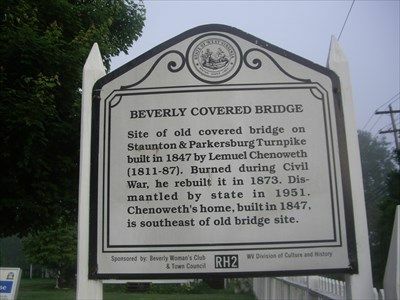 Site of old covered bridge on Staunton & Parkersburg Turnpike built in 1847 by Lemuel Chenoweth (1811-87). Burned during Civil War, he rebuilt it in 1873. Dismantled by state in 1951. 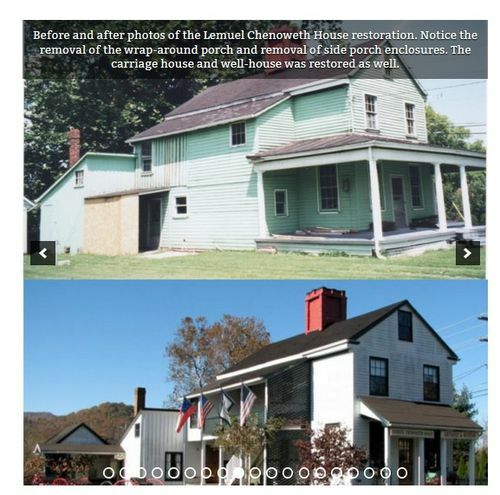 Chenoweth’s home, built in 1847, is southeast of old bridge site. His house is still there!. Thanks for sharing the video. 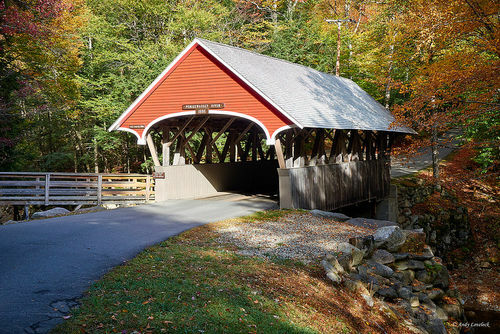 I got to see some of your impressive covered bridges a few years ago when I toured the East coast in an RV. Here’s a shot I took of the one at Flume Gorge in Grafton Notch State Park.